We have a wide selection of fire pits and accessories, outdoor fireplaces, gas patio heaters and chimineas to add ambiance to your outdoor space. Bring a spark to your evening with outdoor propane fireplaces, an electric fire pit, outdoor fireplace kits and fire starters. Want to bring the party to the patio? 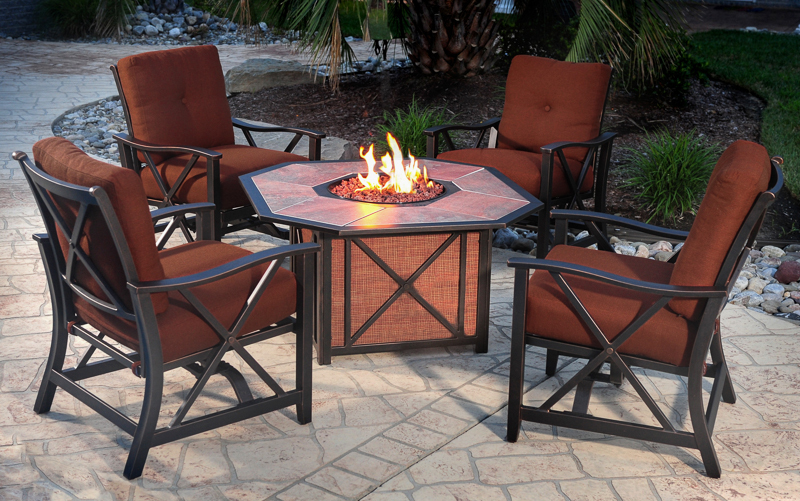 Choose from natural gas patio heaters, gas patio fire pits and propane patio fire pits. Want to forfeit the flames? Explore our electric patio heaters, and enjoy a different kind of heat.